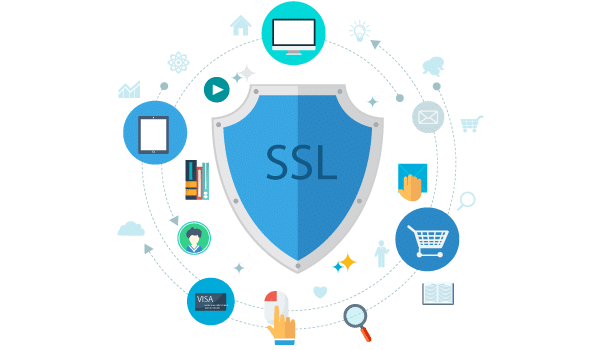 The SSL Certificate (Secure Sockets Layer) is a protocol that ensures the users who visit your site to browse in a safe environment. This security can be noticed by the user through the closed padlock displayed in all browsers and the term https in the address etc. The communication between the site and the end user is protected by encryption. Thus, your valuable data such as login information, forms, emails and credit card transactions are transmitted securely. It helps to prevent data from being intercepted by unauthorized users. Increase customer traffic: Google considers the SSL certificate is an important benefit to users and this takes the sites to appear in the top places in search. SSL helps the clients to perform transactions with trust. The use of SSL certificates provides increased traffic and reduced number of abandoned transactions. More security with the encryption on data transfer on your site and validation by the SSL certificate authority you are using. Having SSL Certificate ensures authentication. By authentication, we mean interpreting the sent data to the target server and not to the third parties.